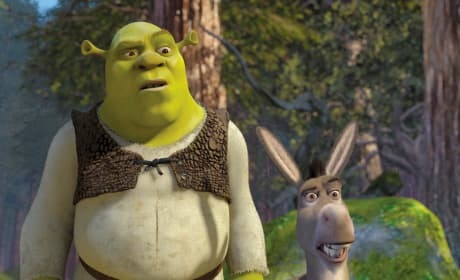 Shrek and Donkey have a moment in Shrek 2. Eddie Murphy voices Donkey. 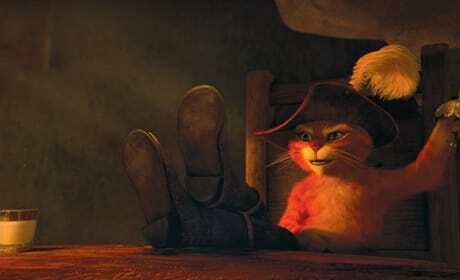 The Puss in Boots Blu-Ray is out now. 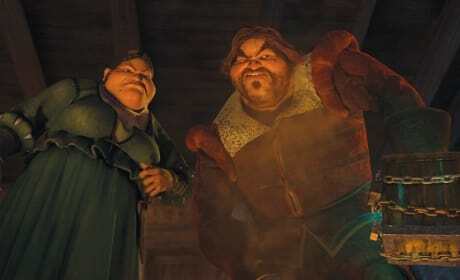 The film stars Antonio Banderas as the character created for the Shrek movies. 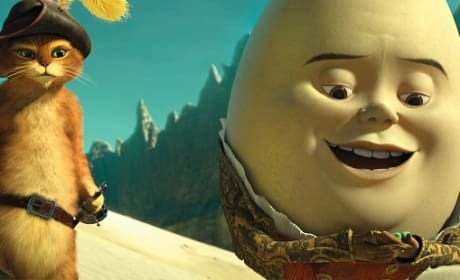 Zach Galifianakis is Humpty Dumpty in Puss in Boots. Salma Hayek and Antonio Banderas star in Puss in Boots. 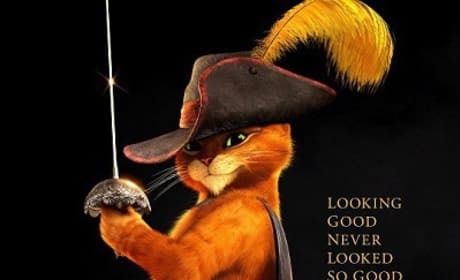 Hayek and Banderas dish Puss in Boots' big screen debut. 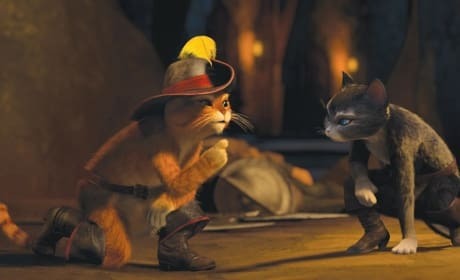 Antonio Banderas and Salma Hayek star in Puss in Boots. 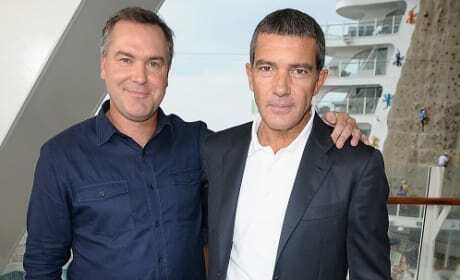 Banderas reprises his Puss in Boots role while Hayek debuts Kitty Softpaws. Billy Bob Thornton is Jack and Amy Sedaris is Jill in Puss in Boots. Jack and Jill in the film are not at all like the fairy tale. 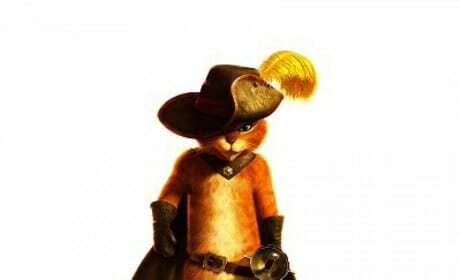 Antonio Banderas is Puss in Boots. 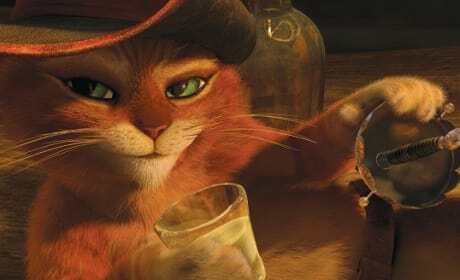 The cat is back in a new trailer with Lady Gaga.